This kinda threw me and my pending solo trip to Colombia. Maybe my spinstering 27 year old self should settle down and get a nice white picket fence. But the very thought of this, at this moment in time, has me and my backpack fleeing for distant lands. 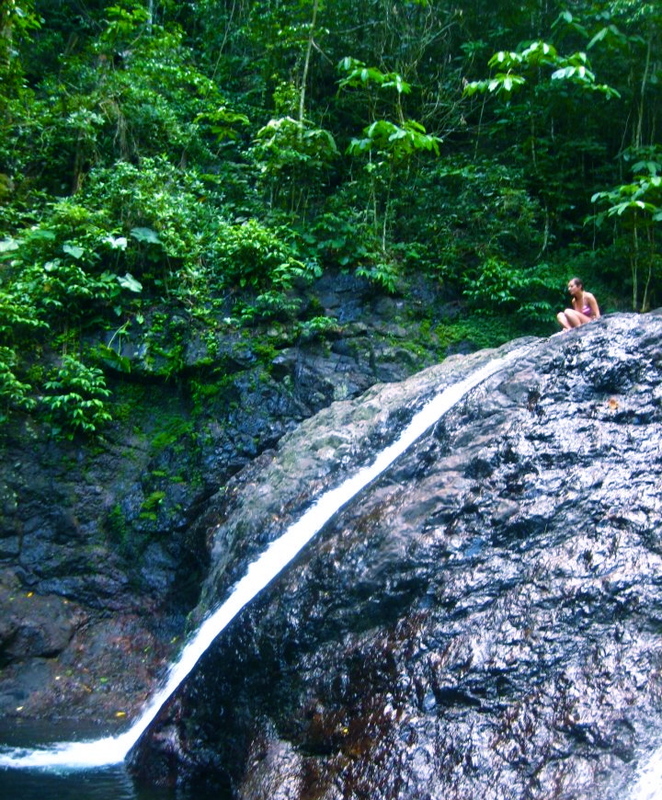 Is travel a form of escapism? What drives this incessant desire to travel? Am I merely making the most of opportunities while my life is still flexible? And as my brother so eloquently put it, if I’m always beach hopping with cocktails why not just do it at home? For me travel is primarily driven by a desire for the unknown. The lead up is often as fun as the experience itself. I hire mountains of library books, and scour travel forums. I obsessively read about places and dream of the endless possibilities. Yet once I’m there all my planning goes out the window. I like to soak up the atmosphere, and follow my nose and stomach. My curiosity is stimulated. I have nowhere to be but here — and I like that. And there’s the people you meet. They are always so refreshing. Inspired by life. People discontent with the 9-5, success, and the picket fence. People who dream and yearn for more. These are my people. The dreamers, the soulful and the adventurers. I can feel so at home on the road, soaking up new stimuli that sometimes I find it hard to return home. I become despondent and restless. But the true art of travelling is to take the experiences, the dreams, the lessons and integrate them back into your world at home. Then travel is not escapism, but a means to enrich our lives. 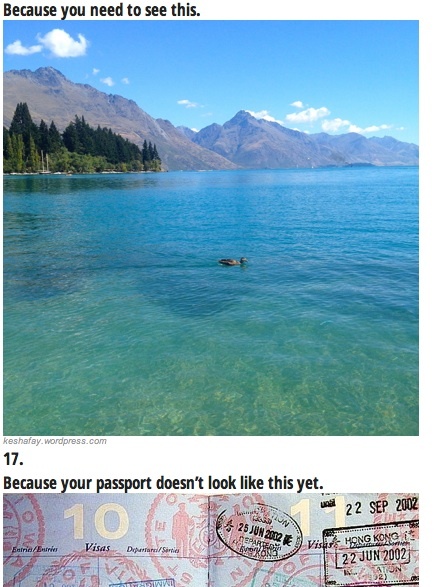 Here’s 27 other reasons to travel. You may even spy my photo featured in the mix. Love this. I feel exactly the same way. You said it! I agree completely with your reasoning.